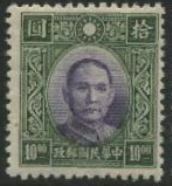 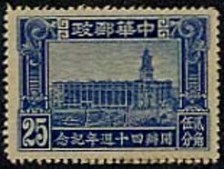 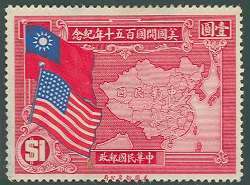 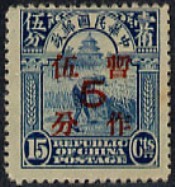 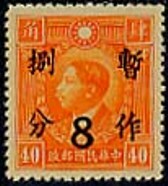 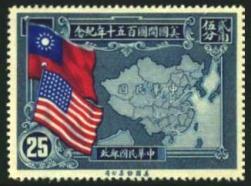 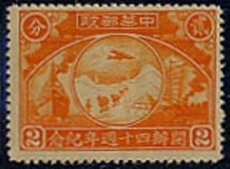 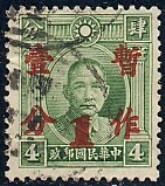 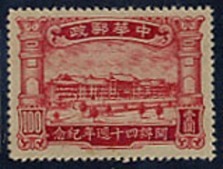 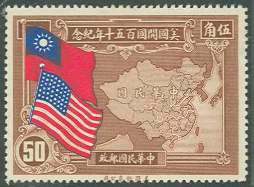 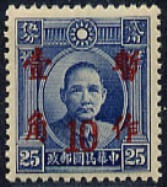 Issued January 2, 1936 by the Chinese Bureau of Engraving and Printing. 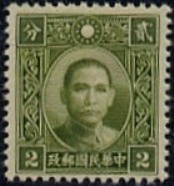 There are four stamps in the issue but only three designs with the 2 cent and 5 cent values sharing the same image. 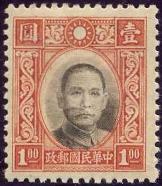 The New Life Movement was an element of President Chiang Kai-shek's efforts to unify and rejuvenate China. 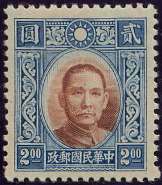 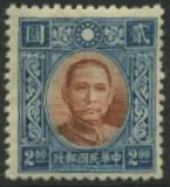 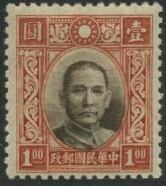 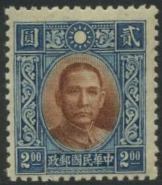 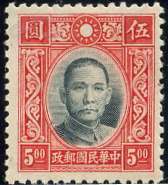 The stamps contain symbols of the Chinese Nationalist Movement, the sun with a single line circle, and a shield representing the New Life Movement itself. 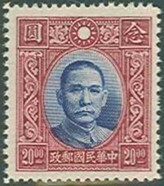 Celebrates the 40th anniversary of the Chinese Post Office with four colorful stamps depicting various postal themed scenes. 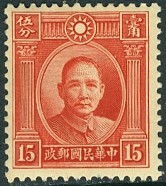 The stamps were popular with collectors and the public as they represented an exciting departure from earlier designs which often featured symbols and portraits of political figures. 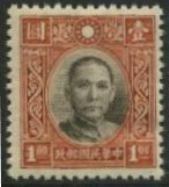 It is hoped that this range of prices will meet the needs of most collectors. 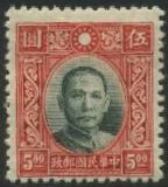 However, a particularly nice example might sell for more than the amounts listed, while a particularly poor copy might be worth less.